In-screen fingerprint scanning has been a hot topic in 2017. Both the iPhone X and Samsung Galaxy Note 8 were rumored to be introducing the new scanner location, but ultimately both Apple and Samsung deciding against doing so. Now it looks like Chinese firm Vivo will be the first to offer it. Leaked images of what appear to be internal presentation slides, along with some official-looking renders of the Vivo Xplay 7, appeared on social networking site Weibo and show a device which is almost 100% display (no notch here, iPhone X fans) with the fingerprint reader embedded behind the screen. The handset also appears to be extremely slender, with dual cameras on the rear and a front-facing camera and sensor dot incorporated into the display on the front. Plus – and this is important – there’s a headphone jack on top too. While we cannot guarantee the validity of these leaked images, it’s worth noting that Vivo has form with in-screen fingerprint scanning, after showing off an adapted handset earlier this year at MWC Shanghai. The technology is available, and we know Vivo has got it working in a demo unit, which adds further credibility to this latest leak. 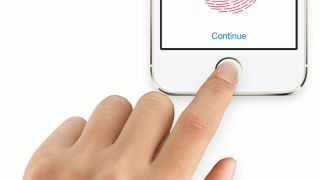 Chipset maker Qualcomm has also highlighted to TechRadar that 2018 will see an influx of in-screen fingerprint scanning in new smartphones, so it’s all looking very positive for this exciting new tech.